The bartenders at Couples Resorts have mastered the art of creating the most perfect rum cocktails. Jamaican rum is truly distinctive in the world of rum and everyone should try it at least once in their lifetime. 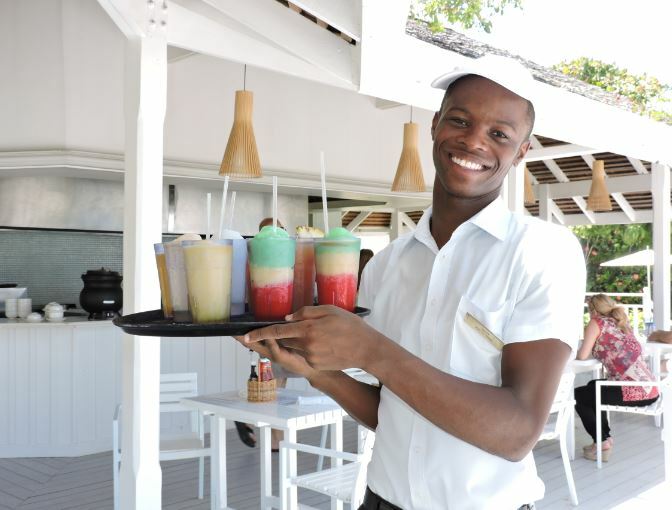 Whether you are on the beach, in a restaurant or at a swim-up bar there is always an opportunity to taste a delicious rum cocktail during your holiday. Here are some of our favourite Jamaican rum cocktails! Snake Eyes is the perfect alternative to having a dessert. With coconut rum, rum cream, banana and some simple syrup, this drink is sure to take away your craving for something sweet. Have fun trying it out! This delicious cocktail combines the sweet taste of pineapple with the tangy sensation of orange for a tropical mix. Regular rum, a coconut rum, grenadine, orange juice, pineapple juice and ice make up this rum favourite. The Bahama Mama is the ideal cocktail to enjoy on the beach. Full of real strawberries, this drink is more on the fun side. Ingredients commonly used are ice, light rum, coconut rum, pineapple juice, cream of coconut, strawberries and sometimes a banana. Jamaica is famous for its dark rum and the Rum Runner is an exceptional cocktail to try it. Complete with lime Juice, strawberry syrup, orange juice, pineapple juice, dark rum, white rum, blackberry brandy and dash bitters, it is nothing less than perfection! Jamaican Smile does exactly what its name implies, it will put a big smile on your face! This cocktail is made up of a strawberry daiquiri mix, a Pina colada mix and a shot of coconut rum with some rum cream on top. Heaven! 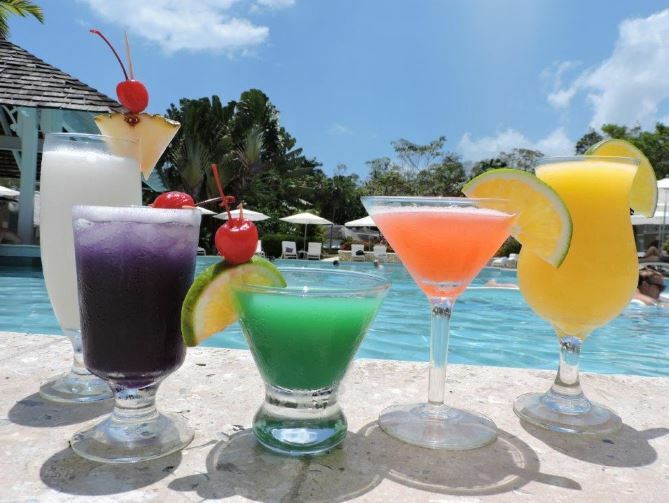 Have you enjoyed one of these Jamaican rum cocktails at Couples Resorts? Tweet us at @CouplesUK and let us know your favourite!